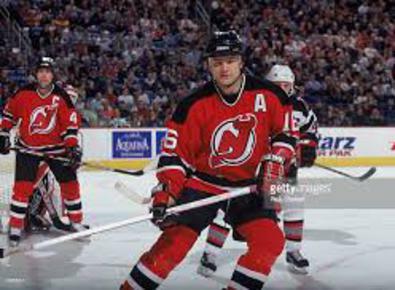 In the Championship game, Jaroslav Holik was the hero. 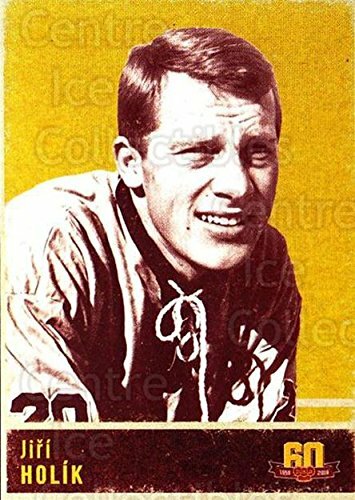 After creating a turn-over that led to the Soviets’ first goal, Holik scored the eventual winner, making it 3-1 after two. 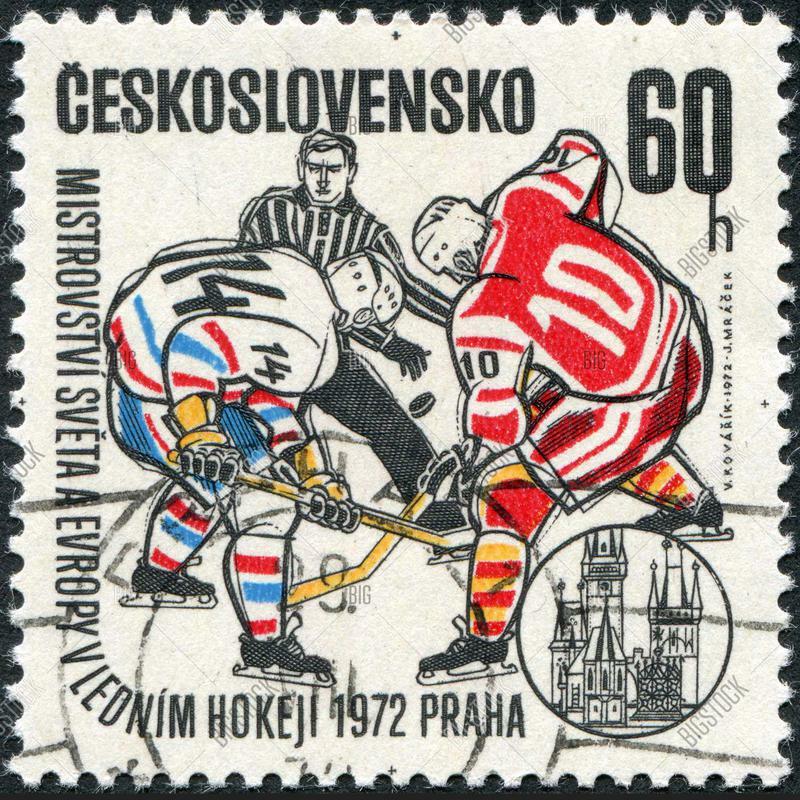 Holik’s goal remains maybe the most famous marker in the history of Czechoslovakian hockey. 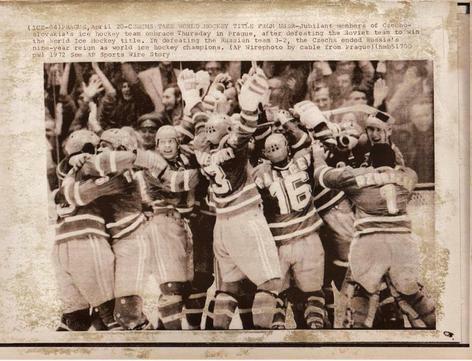 The CSSR eventually won 3-2, sending fans in Prague’s Sportovni hala and an entire nation into a frenzy. The Soviet winning streak was over, and it was ended by their political adversaries in Czechoslovakia. The sporting win was great; the cultural importance of the win even greater. In the 1970s, the USSR vs. CSSR hockey rivalry reached its peak. Part of this rivalry was obviously related strictly to hockey. The other part had nothing to do with the on-ice action. 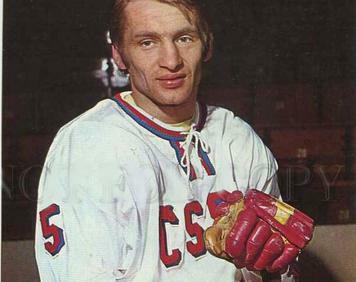 The tragedy of the 1950 team and 1968 Soviet invasion of Czechoslovakia remain two of the most tragic moment in the history of Russian-Czechoslovakian relationships. The shameful order to send tanks to Prague came from politicians in Kremlin who neither had an idea nor seemed to care about the results of this outrageous decision. As usual with dumb political decisions, politicians made them and the nations have to deal with the consequences. None of the people responsible for the invasion are around anymore but the 1968 shadow is still in memory. 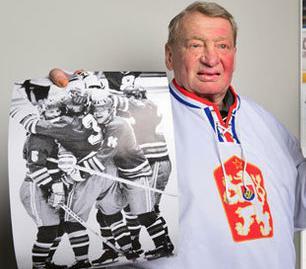 The war-like take-no-prisoners nature of these games was never officially acknowledged neither by the Soviet media nor by the hockey federation. 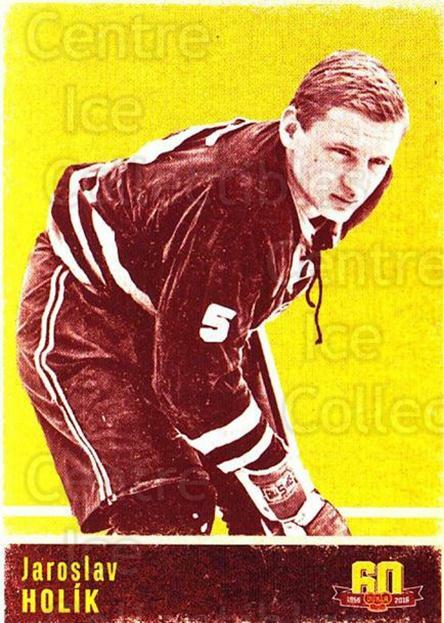 In fact, the Soviet blueliner Alexander Gusev was close to life suspension from hockey for the fight instigated by his Czech opponent at the Izvestia Cup. The intense rivalry peaked at the 1972 World Championships in Prague. Possibly the best brother act of all time. Jiri was the speedster and playmaker while Jaroslav simply bulldozed his way through the opposition.